PMCs, or polar mesospheric clouds, which are known to glow beautifully in the darkness of night, are affected by atmospheric gravity waves, essentially sent by the convection and uplifting of air masses. 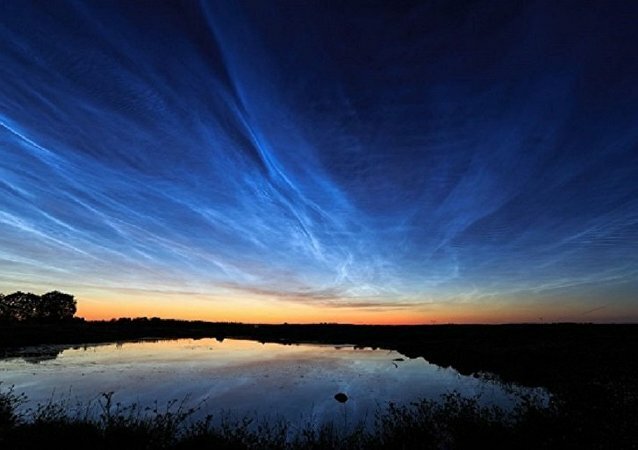 These noctilucent masses are known to be particularly visible over the poles. 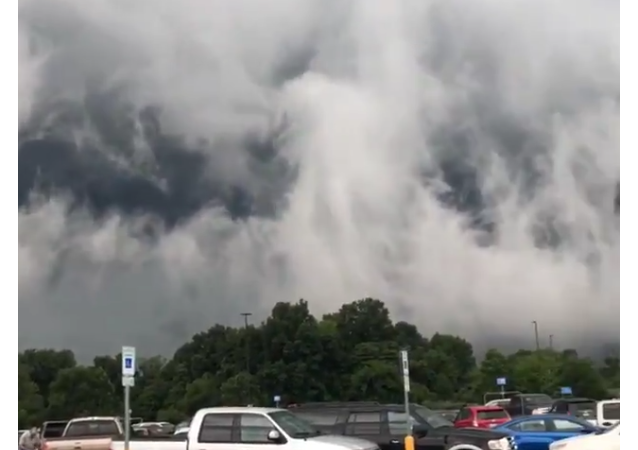 Ominous wave-like clouds have been spotted over an American town, prompting cheeky users to make doomsday predictions and references to Steven King's and George R. R. Martin's works. 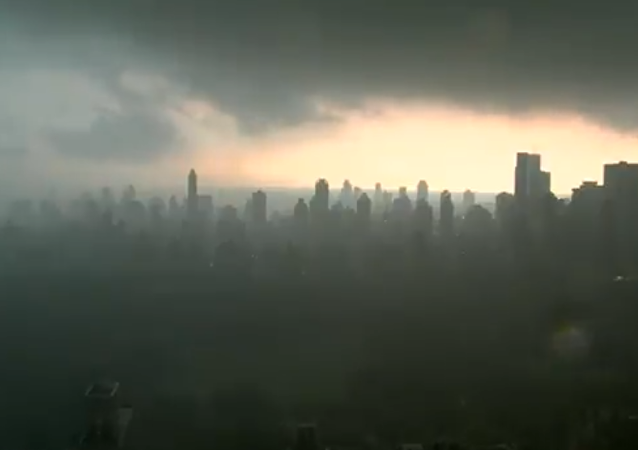 The video was captured by New Orleans photographer Curtis Christensen on his way to work. The 52-year-old photographer was astounded by the response from social networks. 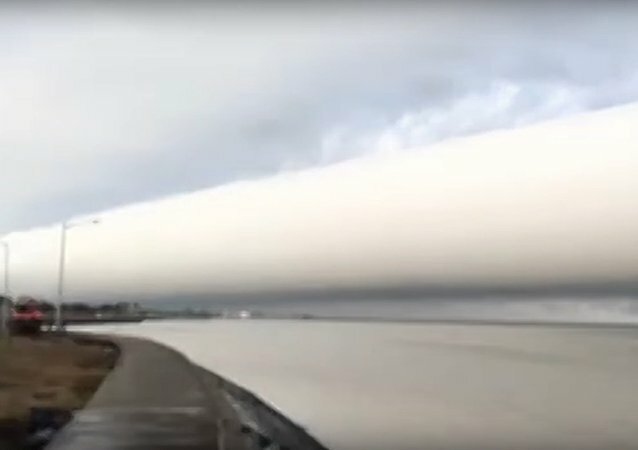 The occurrence has caused controversial reactions among netizens, with Twitter users posting pictures of the unusual phenomenon online. 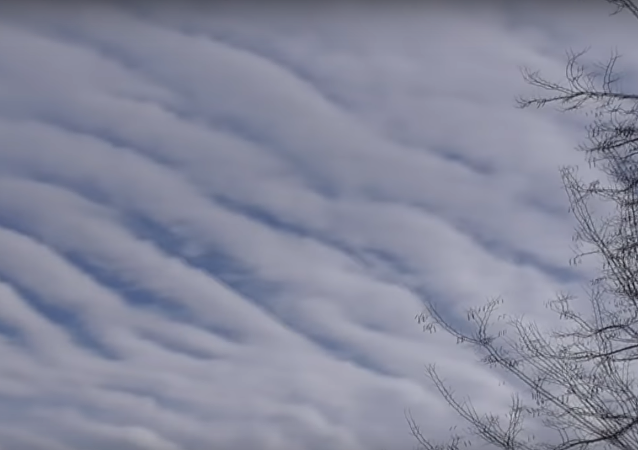 Residents of the Donbass region noticed unusual luminous clouds in the sky on December 26. 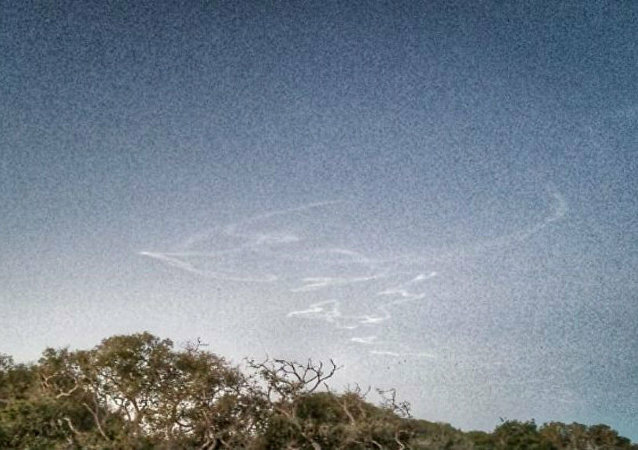 The images of the striking phenomena have been published on social networks. 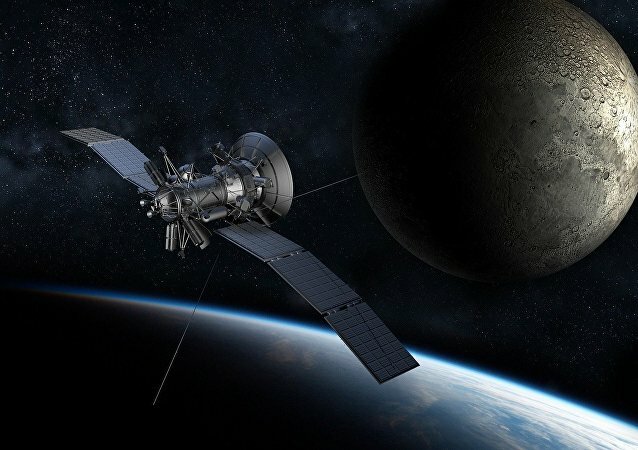 Russian scientists are developing technologies that will enable military satellites to see through clouds and conduct subsurface sensing, project team leader of Moscow-based Foundation for Advanced Research Projects (FPI) Maksim Vakshtein told Sputnik on Friday. 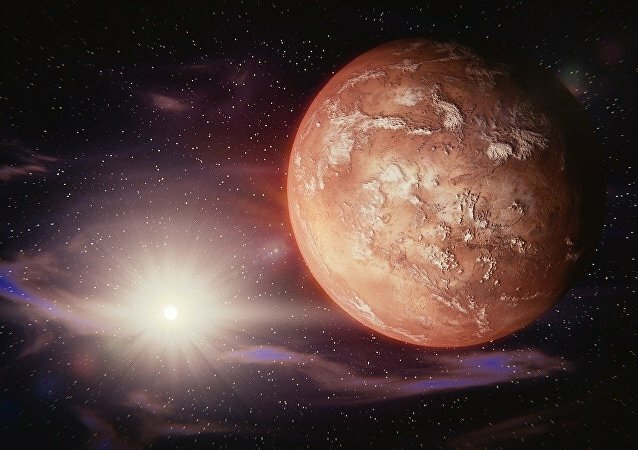 The sky over Mars may soon be shrouded by clouds: a scientist from the Russian city of Arkhangelsk has just patented a novel invention for creating an atmosphere on Mars. According to the researcher, it will help to control the weather on the Red Planet making colonization possible. 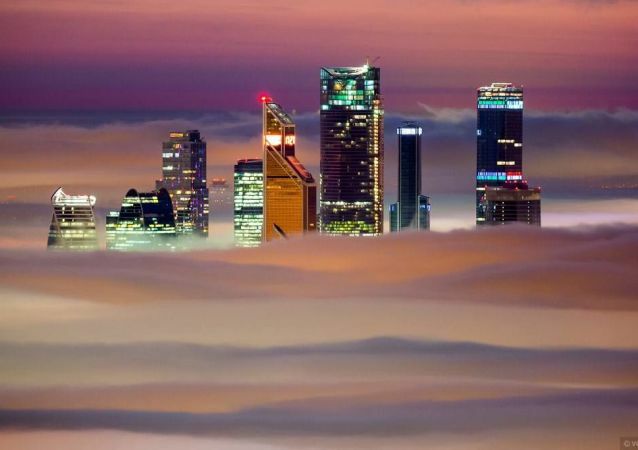 Sometimes Moscow looks like a city from a sci-fi movie. Especially during a cloudy weather. Have you ever dreamed of diving into thick, milky clouds? This guy definitely knows what it feels like! Russian astronomer Vladimir Krasnopolsky has demonstrated that the dark patterns on Venus that were first observed in the 1920s in ultraviolet light are not a result of sulfur-rich particles in the planet's atmosphere, as previously thought. An international team of scientists have determined weather conditions on a planet beyond our solar system for the first time – it is mostly huge hurricanes and clouds of molten iron. 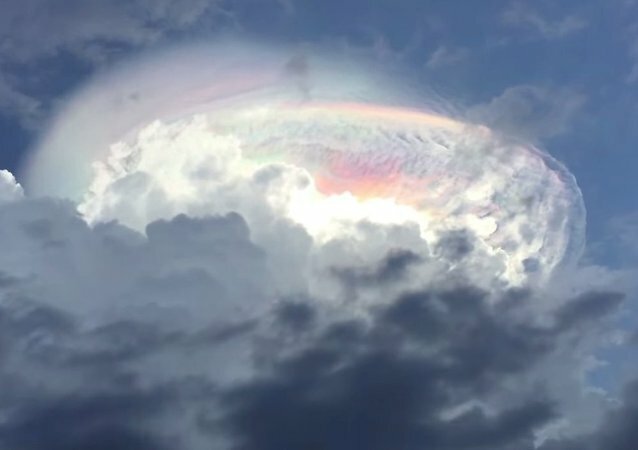 A recent colorful cloud formation over Costa Rica left many residents amazed and terrified, prompting them to speculate whether it was an omen.